Kathy LOVES sharing God’s amazing Word in creative ways to help inspire both children, teachers and the special needs community to grow in their faith and relationship with God. For the past 17 years, Kathy has been traveling around southern California in the counties of Orange, Los Angeles, San Diego, and Riverside sharing the good news of Jesus through her musical Bible programs. 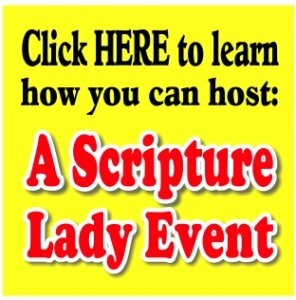 Through memorable Bible verse songs, engaging Bible review games and eye-catching props, the Scripture Lady knows how to grab and keep the attention of her audiences. 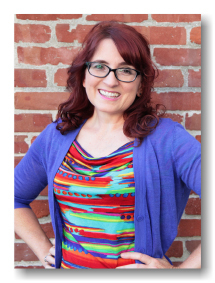 In addition to performing her programs, Kathy has been serving Christian children’s workers and Sunday School teachers for over 10 years at venues such as CMTA, ACSI, CEF (Child Evangelism Fellowship), Calvary Chapel Children’s Conference and the BASS conference in northern California. Through hands-on workshops, teachers are inspired to “think-out-of-the-box” and are given new and creative ways to share God’s Word with those the Lord has placed within their care. So click on the links below to learn a little bit more about the Scripture Lady and all she has to offer your children’s ministry and special needs ministry.